Concrete may need repair over time. As time passes by, concrete can become cracked, suffer from a discolored surface or may even crumble. This is because although concrete is considered a sturdy and durable construction material, exposure to harsh weather conditions can still weaken its components. In the past, cracked, surface discolored and damaged concrete calls for major replacement of the whole concrete slab. The damaged part of the concrete is removed and replaced with a new concrete slab. However, a shift in concrete maintenance and repair nowadays has made it more convenient for home owners and business establishment owners to salvage their damaged concrete. This is possible through concrete resurfacing. In the process of concrete resurfacing, there is no need to replace the whole concrete slab itself. As the process’ name implies, it only calls for the surface to be redone. This is achieved by layering over a new concrete surface over the old surface or the old concrete slab. This option has been quite popular nowadays for a good number of reasons. First, it does not cost as much as replacing the whole driveway or patio made of concrete. It only resurfaces it and thus, does not need much concreting materials. Materials for concreting can be quite expensive and the same goes for the labor fees. Another reason why home owners and business establishment owners consider concrete resurfacing is that this process does not take too long to complete. Compared to total replacement of the whole concrete slab in your driveway, patio or whatever part of your property that has been damaged, only the surface needs to be worked on. This process can be accomplished in 1 to 2 days depending on the severity of the damage and the total area that needs to be worked on. Concrete resurfacing is a fairly simple process that can be delivered flawlessly by professional concreters. 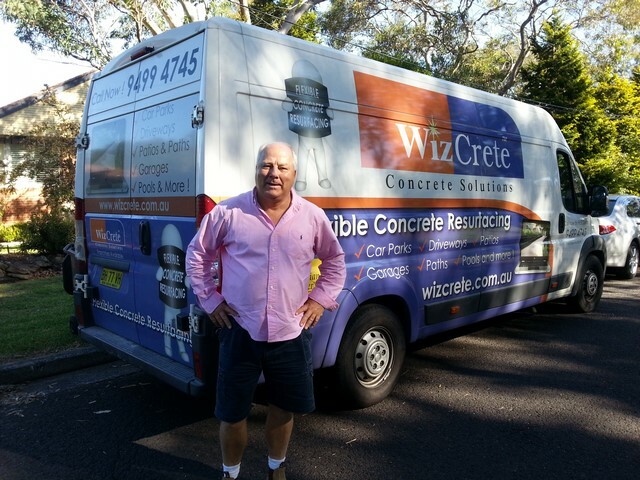 When it comes to concrete resurfacing in Sydney, there is no better concreter than Wizcrete Solutions. This award winning company has not only grabbed trophies and certificates but has also gained the trust and loyalty of numerous customers and clients. 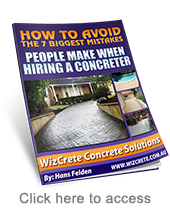 Wizcrete Solutions is able to service all areas in Sydney whether it’s a house or a business establishment. The company specializes in concrete resurfacing, stenciled concrete and concrete stamping. There have been many successful transformations courtesy of Wizcrete Solutions. So if you are looking to turn your concrete from drab to fab, there is no better company to call than Wizcrete! Both driveways and public roads are access roads. But what sets apart your driveway from a public road is you. Forget the boring concrete slabs and paint. When it comes to planning for your driveway, personal touches should be visible. Although it is true that driveways are mainly for privately accessing your home or your property, that isn’t the only purpose of your driveways. Driveways are also known to have architectural and aesthetic values – conforming to that of your house or your property. There are many driveway designs that you can explore and experiment with. The two most critical factors in determining which driveway design to choose are the area of the driveway and your budget. 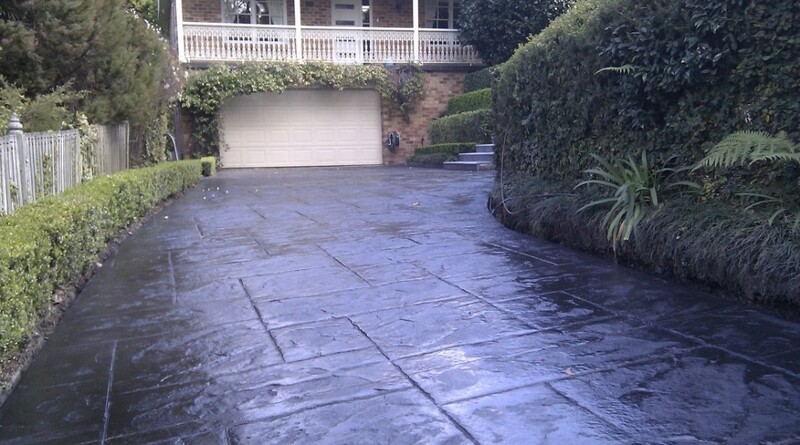 There are a number of driveway designs that you can consider including circular driveways, courtyards and cross overs. These designs are structured to be more than just access roads and involve lots of design elements that make the entrance and the passage to your house or property even more dramatic. In terms of the type of materials used in the construction of your driveways, there are even more choices! Materials like asphalt, brick, cement, concrete, dirt, glass, granite, gravel, pebble, limestone, rubber, resin, rock and sandstone are only a few of the most commonly used ones. The possibilities are endless. However, these different materials are also priced accordingly. It is wise to consult professionals when it comes to planning which driveway material will best suit your home, your lifestyle and your budget. Wizcrete Concrete Solutions has served thousands of customers over the years. From simple repair and maintenance to full installation jobs, they have appeased clients from all walks of life through high quality work and excellent customer service. Wizcrete Concrete Solutions are highly famed for their triple guarantee which seeks only the satisfaction of their clients. Any wear and tear on driveways installed and resurfaced by Wizcrete Concrete Solutions is covered by their five year warranty. This will not only save you a lot of money but also shows how confident the company is of their products and output. Wizcrete Concrete Solutions does not only accept jobs dealing with driveways but also other parts of the house that you would like to be concreted. This includes patios, gardens and pool sides which are also of much demand. 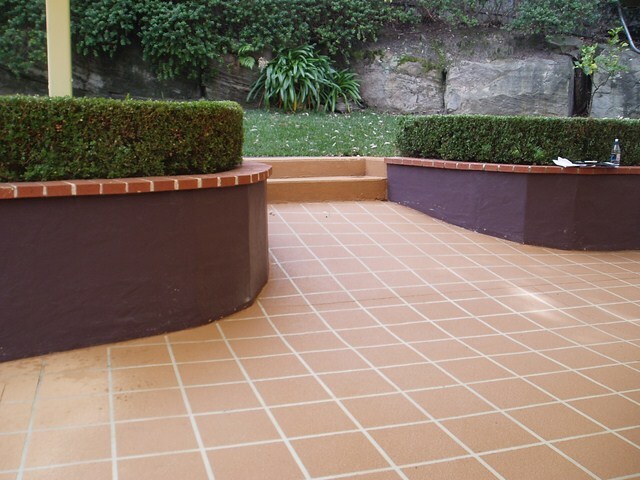 As a leading concreter in Sydney bagging numerous awards, you can never go wrong with Wizcrete! Ever considered resurfacing and remodeling your driveway by yourself through the use of concrete stencils? Think again! Concrete stencils may seem like nursery playtime items that you think you can pull off with a few reads and a pair of hands but it is not! Concrete stencils require so much more than that. Home owners can actually buy concrete stencils in just about any hardware or “do it yourself” store in their area. They usually come in rolls and are made up of water resistant material. This is because driveways, patios and gardens that make use of concrete stencils usually have large areas that need to be stenciled upon. Doing one pattern at a time will not only make things super slow but will also result to disaster. Imagine having to discover all the concrete dried up before using the stencil on it! Concrete stencils that come in rolls are usually composed of grout patterns. In terms of construction, grouts are materials that fill the gaps between bricks and tiles and are mainly for joint sealing. However, in concrete stencils, grouts are very essential to achieve the entire look and texture of the material to be copied or duplicated. Concrete stencils come in different patterns and shapes. Most concrete stencils actually duplicate the look and feel of other materials like bricks and tiles. Through coloring applied to the concrete slabs and also through the help of “grout like” patterns on the concrete slabs, concrete stenciling seems to do just the trick. It often results to real looking bricks or real looking tiles and never fails to catch the attention of friends, relatives and guests that pay the house a visit. In choosing for concrete stencil patterns, it is best to consider the design of the house or the property as well as having a main look and feel that you want to achieve. 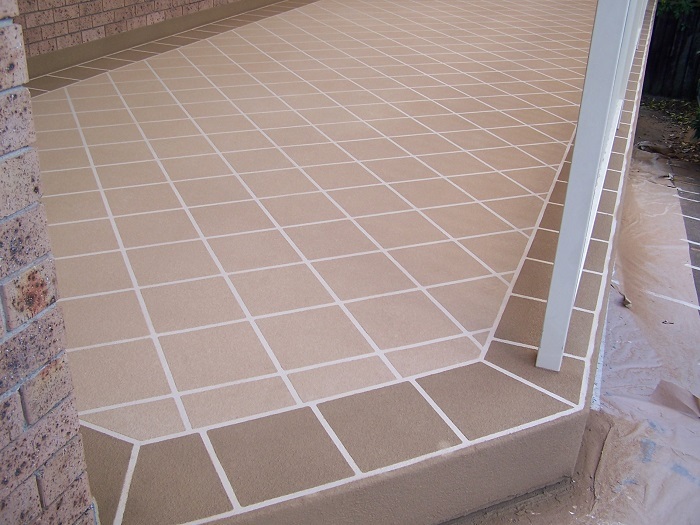 Professional concreting service providers like Wizcrete Concrete Solutions are experts at doing concrete stencil jobs! Whether it’s the pavement, the driveway, the garden or even the stairs, Wizcrete never fails to deliver high quality output for the satisfaction of clients and customers. In fact, they’ve won numerous awards for their excellent craftsmanship and service which has not only pleased clients but movers and shakers of the industry as well. 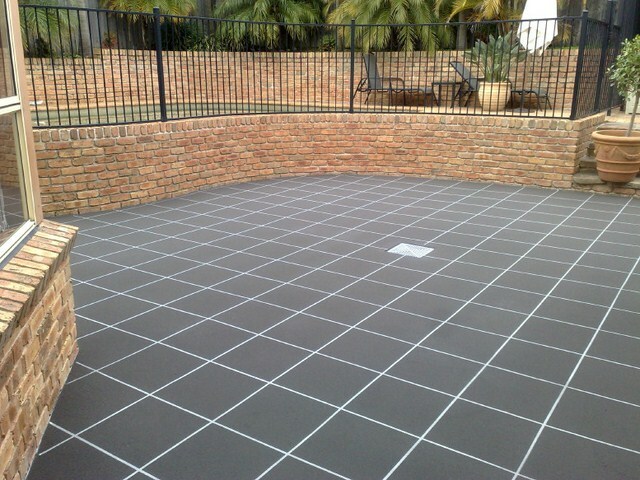 If you are in Australia and considering concrete stencils, contact Wizcrete! Concrete has been known to be a sturdy and very reliable material when it comes to construction. Although often confused with cement, concrete is quite different. Concrete is made up of various materials including aggregate, cement and water with some reinforcements and other mixtures. The ration of materials in concrete usually varies from one concreter to another but concrete has been deemed a very strong material. The main drawback of concrete is that it can be quite pricey most especially if you are dealing with the wrong concreter. Concrete prices definitely vary from one concreter to another and are also highly dependent on the quality of the concrete. Aside from the cost of material itself, constructing a driveway, patios or other parts of the house with concrete will also incur additional costs. Unless you’ve had professional experience in mixing and working with concrete, it is not advisable for you to do it on your own. Doing it yourself may save you some labor costs but the price of having poorly done concrete construction is actually much more than paying for a professional concreter to do the job for you. Professional concreters are skilled and very much experienced in figuring out which ratio of materials used in concrete construction would be best for the area of the house you are trying to construct. Another reason why you should consider employing a professional concreter to do the job is to avoid having dull and plain looking concrete. Professional concreters have lots of options available for concrete construction to make the end results more appealing. Concrete stamping and concrete stenciling are just a few of the things that professional concreters can offer to avoid having boring driveways and patios. The designs and colors used may also match that of your house or your property – enhancing them in ways you can never do alone. Professional concreters like Wizcrete Concrete Solutions are always on the go when it comes to providing high quality craftsmanship concreting job for a reasonable price. What’s even more appealing is that they offer iron clad guarantee which will make maintenance and repair of the concreting job typically an easy feat. With Wizcrete Concrete Solutions, there is no need to worry about quality and craftsmanship. Years of experience and training have made team Wizcrete experts at concreting jobs doing work across Sydney and Australia.